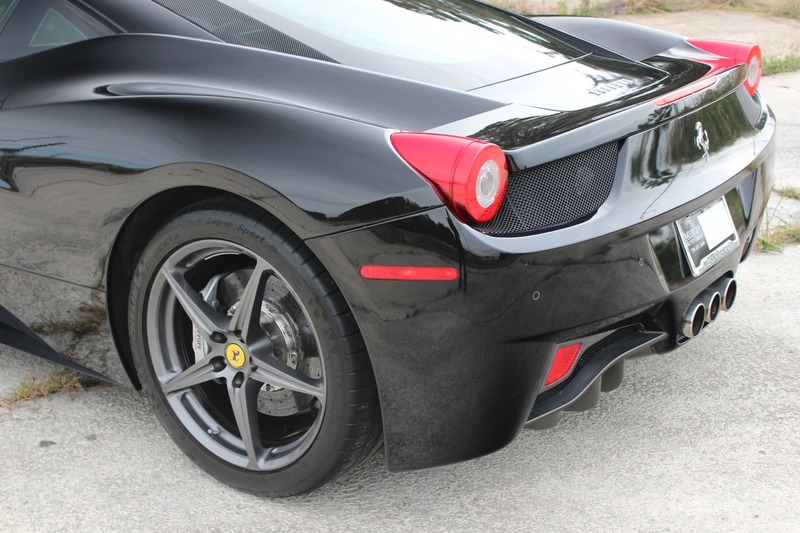 If this Ferrari 458 Italia's only flaw according to Road and Track is that "it's possibly too intense"...Where do I sign? 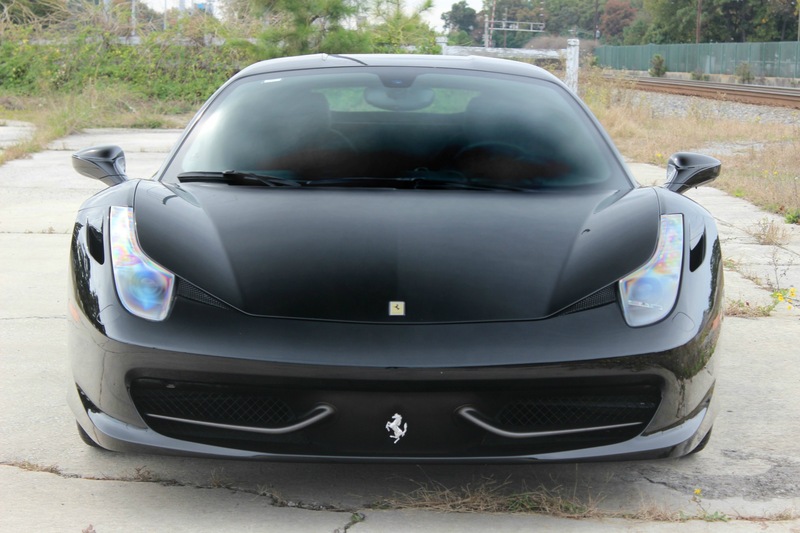 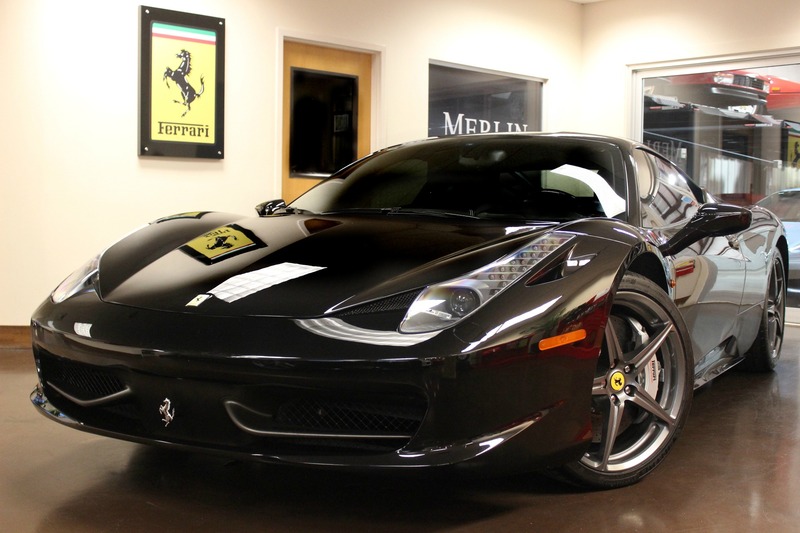 This 458 looks stunning in all Black (Nero). 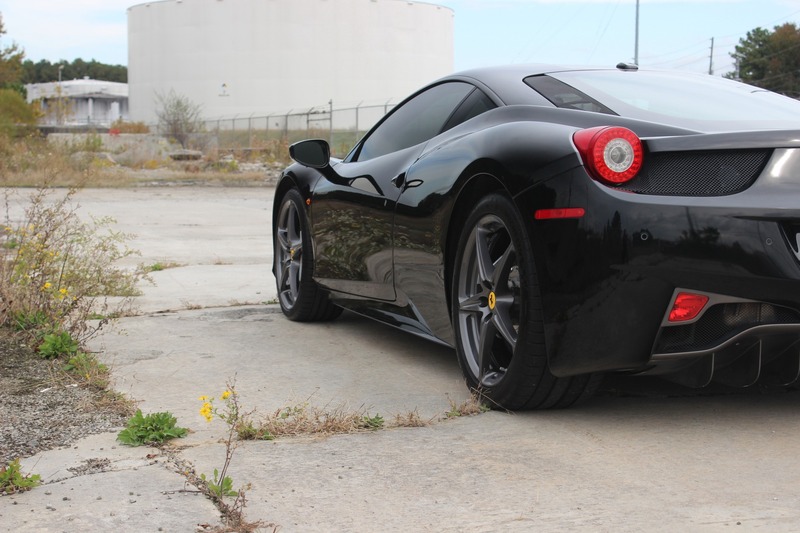 Don't try and tame it's V8 570 hp with blazing acceleration as it screams to 9000rpm! 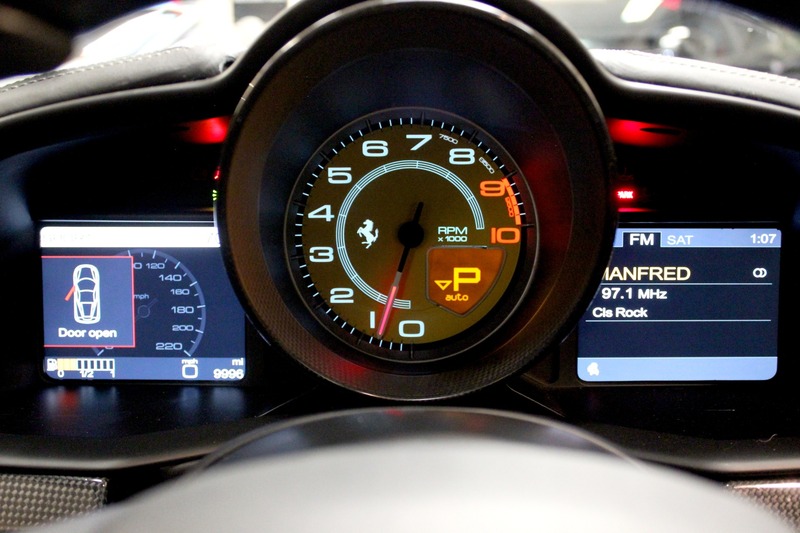 Rev it, then rev it some more. 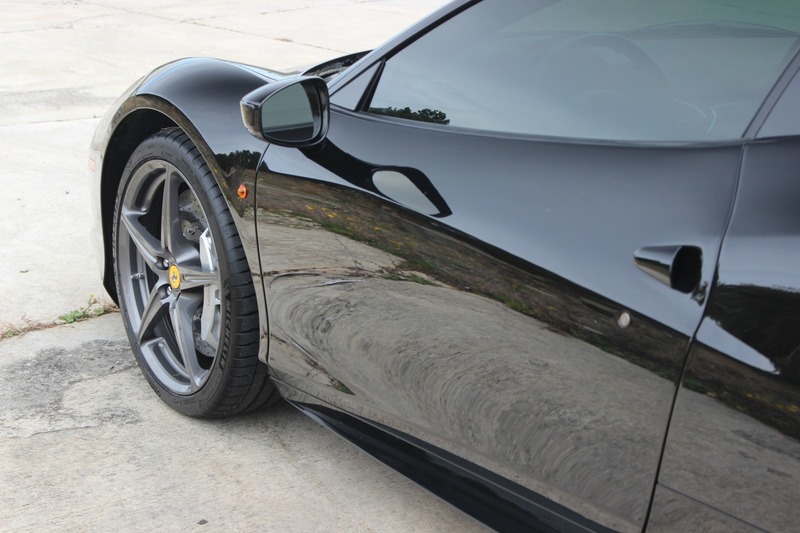 It will out drive you in and out of the corners. 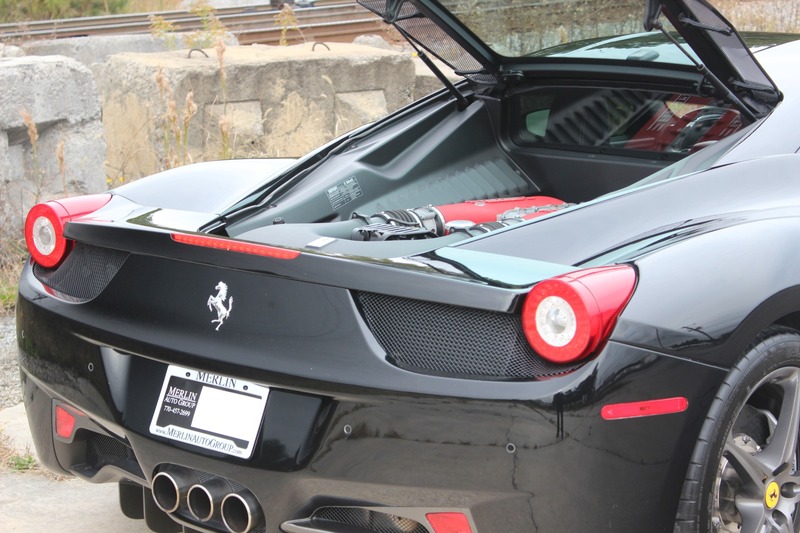 We personally know the last owner of this car and it has a clean Carfax. 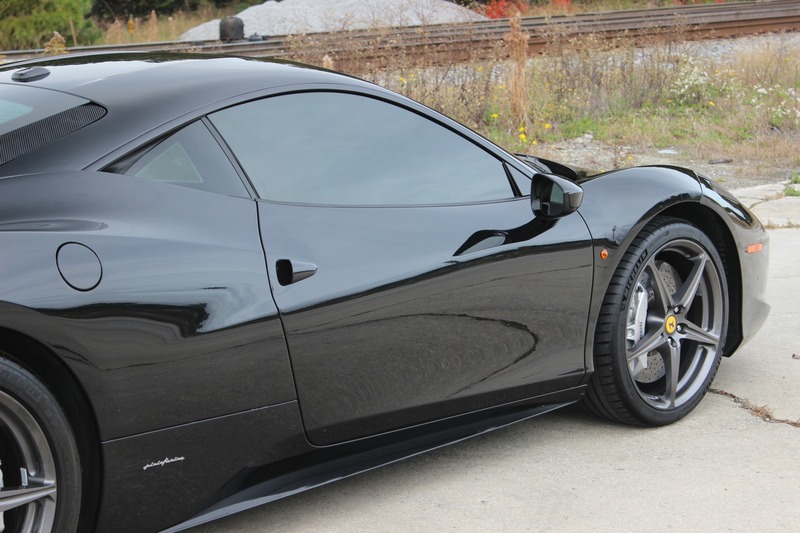 It's nice to see an all black 458 as opposed to the red (but all colors are nice). 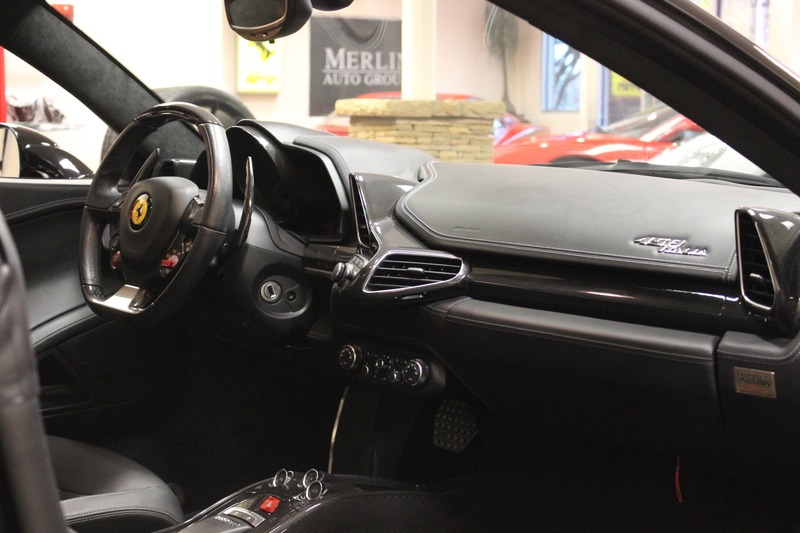 Nicely equipped with hands full of options...Alcantara headliner, Carbon fibre driver zone and LED's, Carbon fibre central bridge, upper tunnel, and dashboard inserts, yellow rev counter. 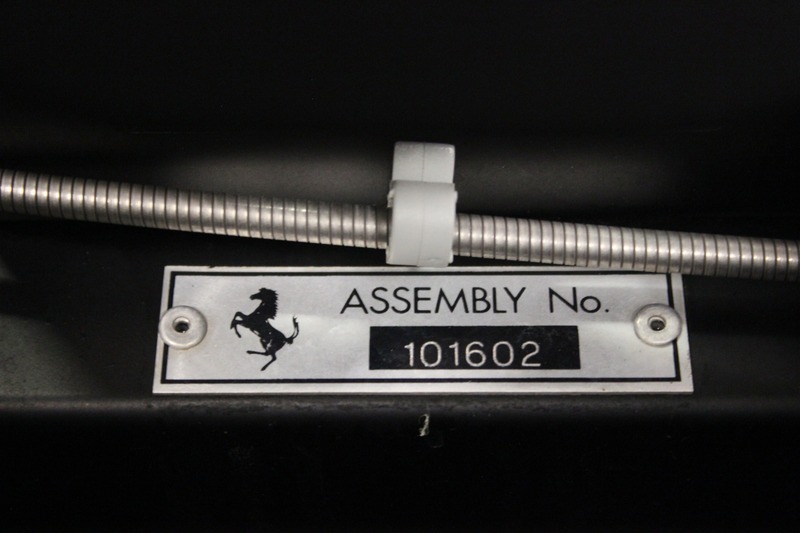 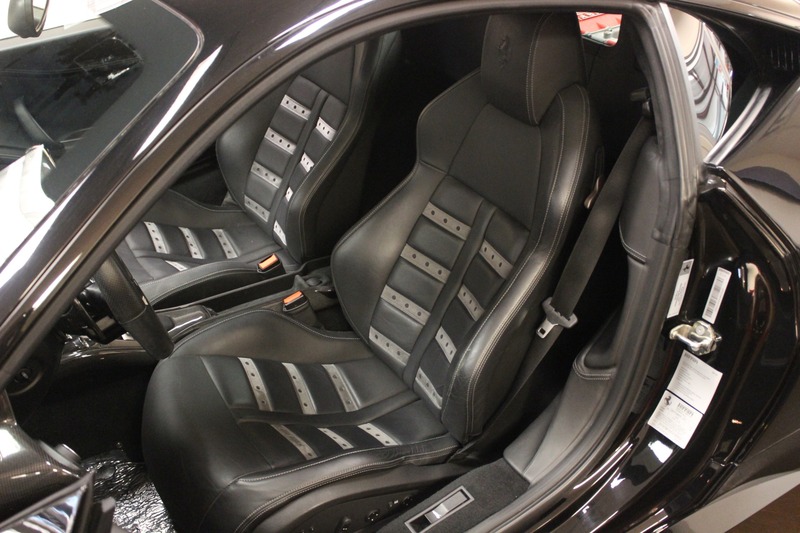 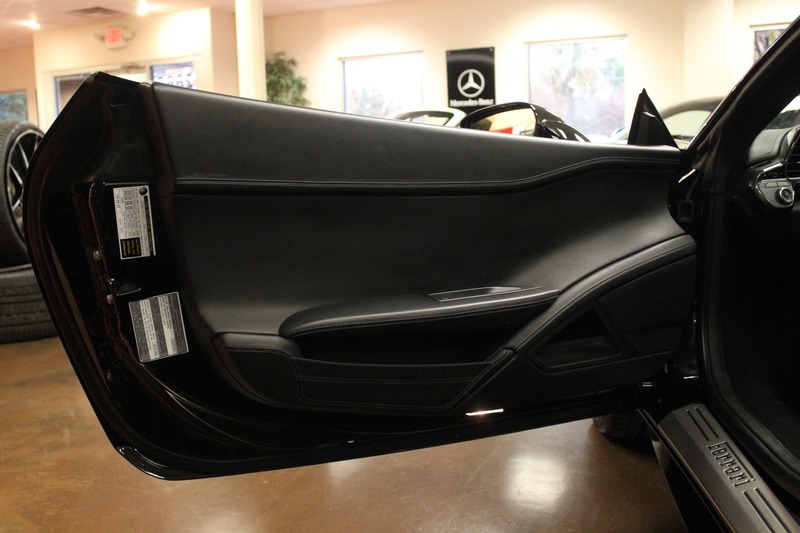 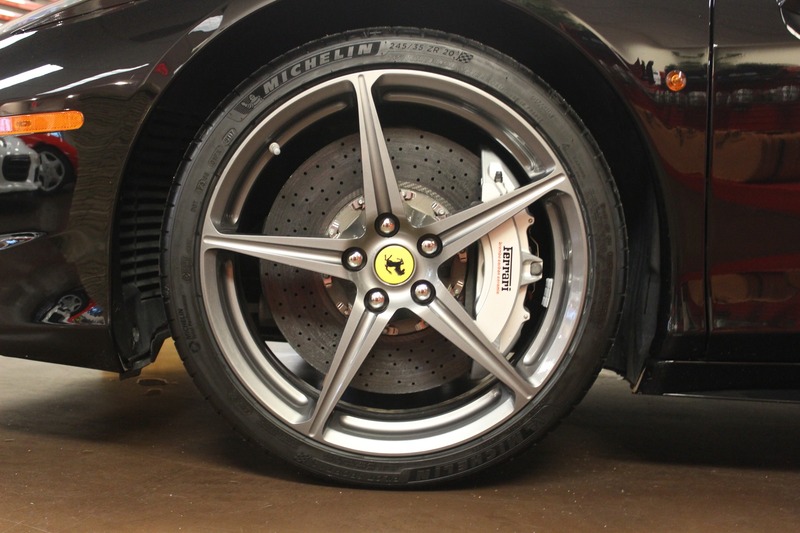 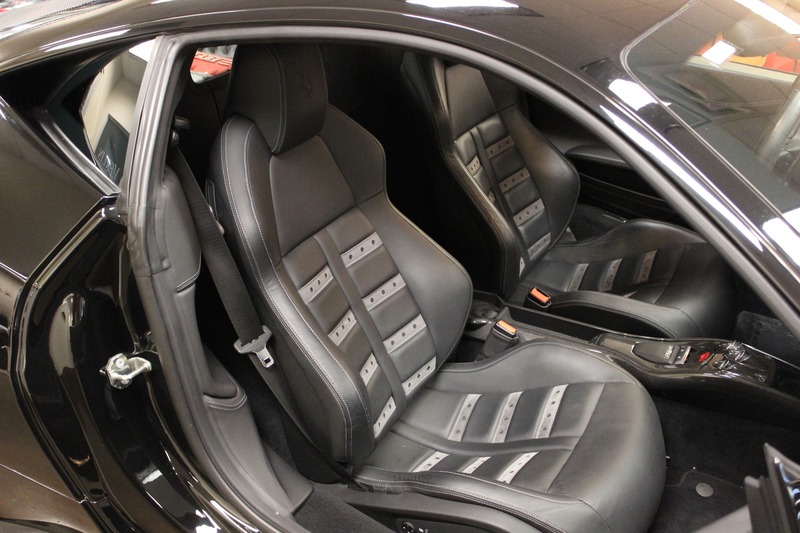 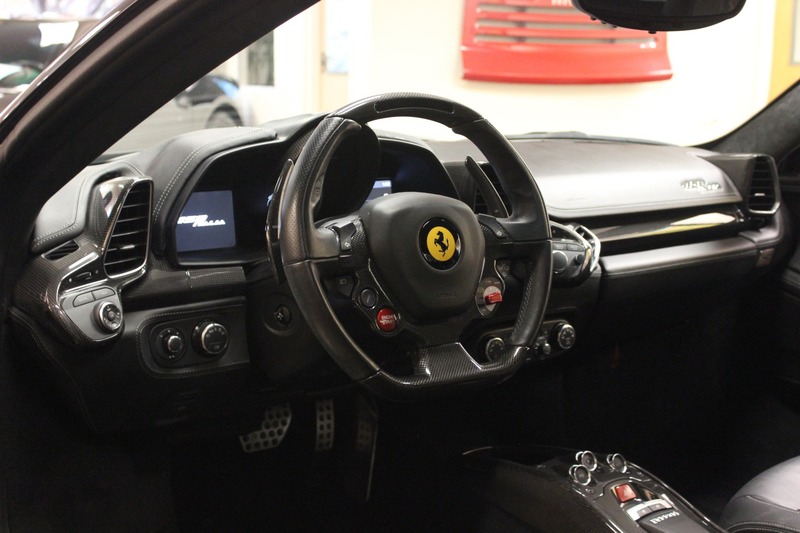 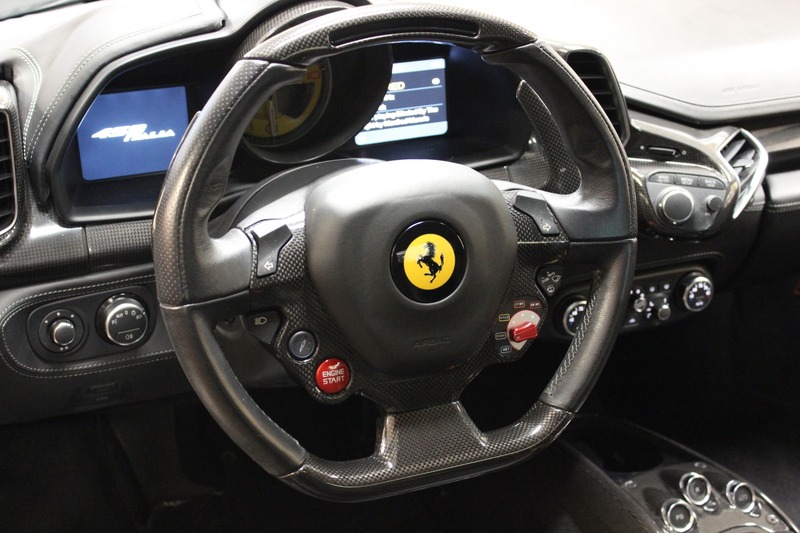 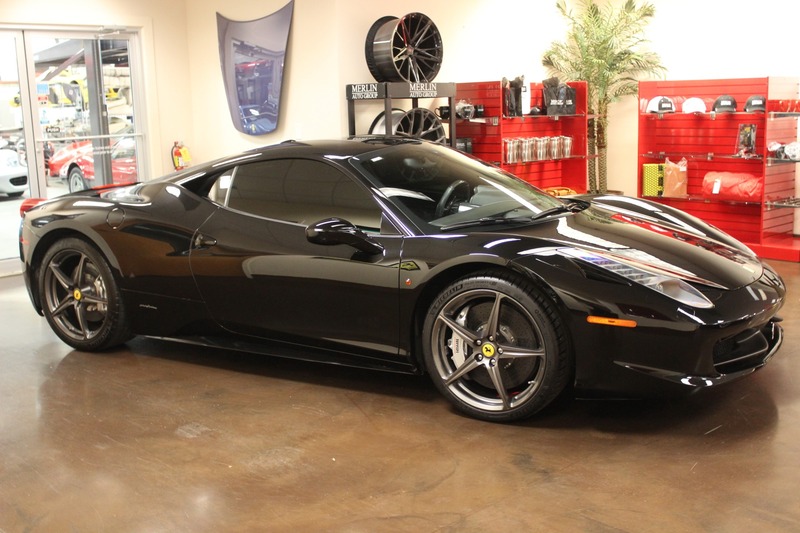 This car has been inspected by our Ferrari certified master technician who has over 20 years of Ferrari experience. 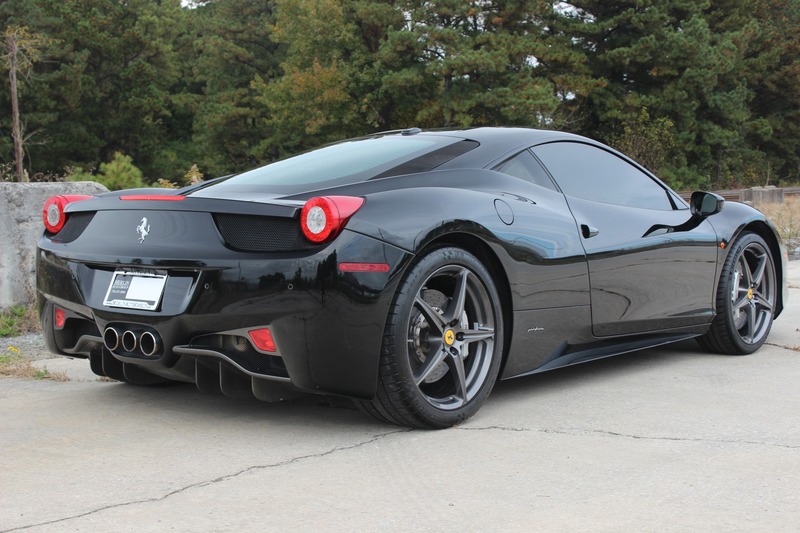 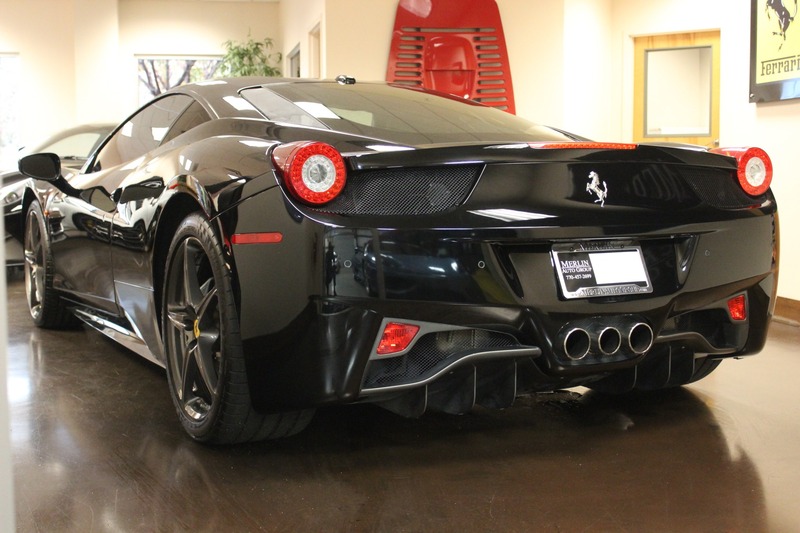 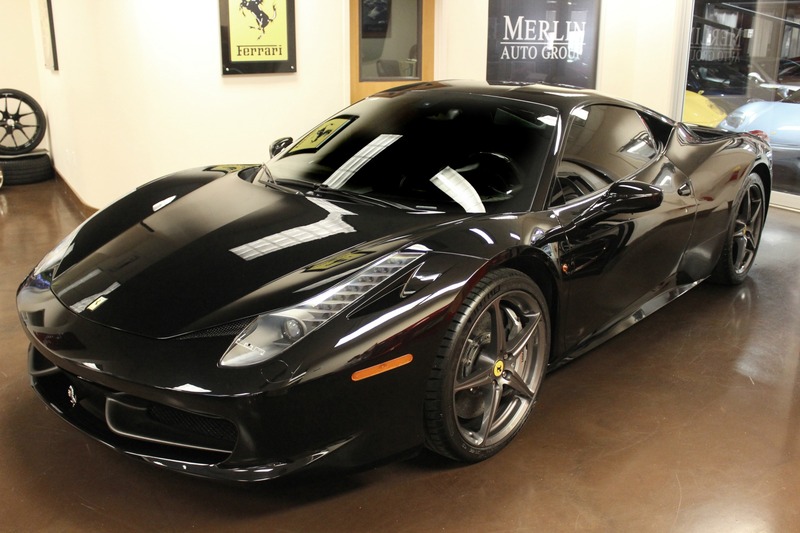 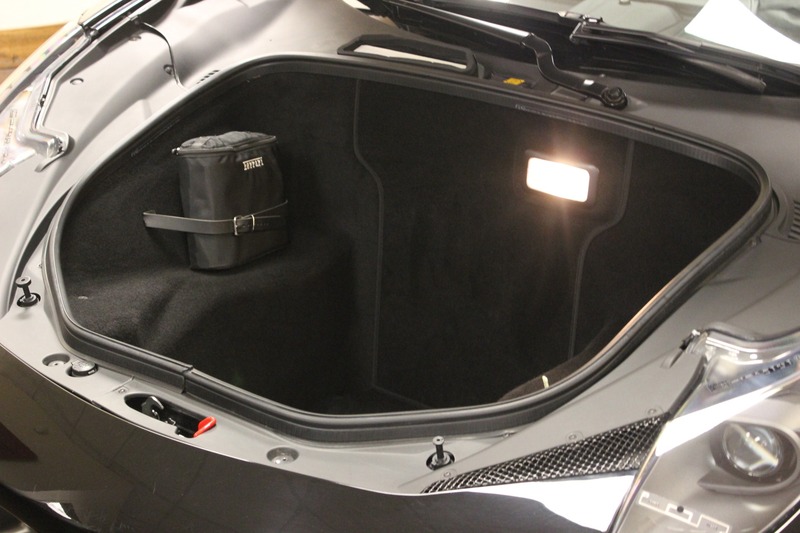 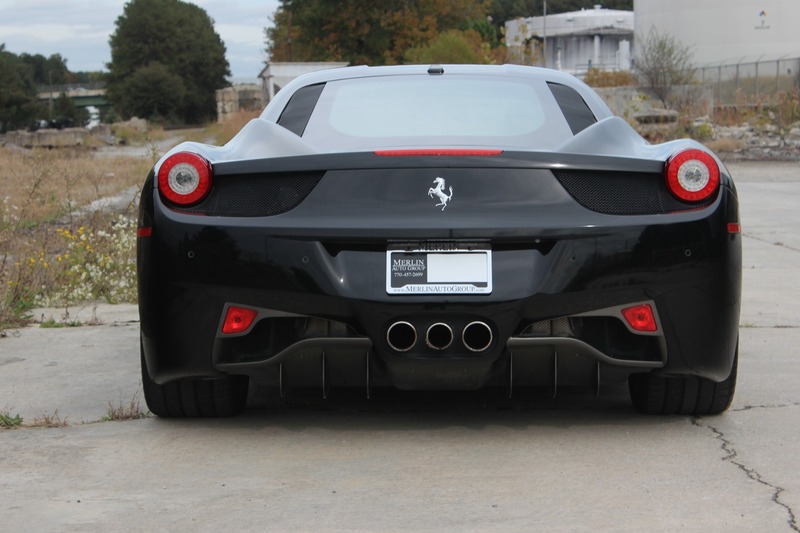 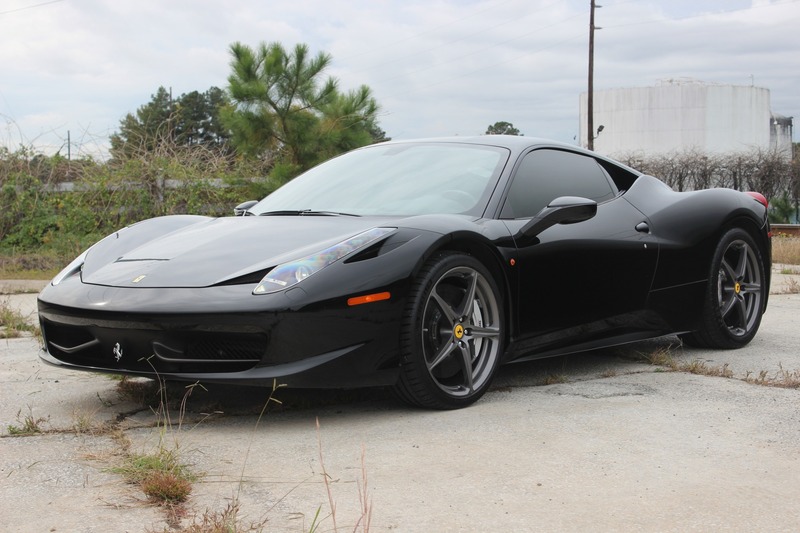 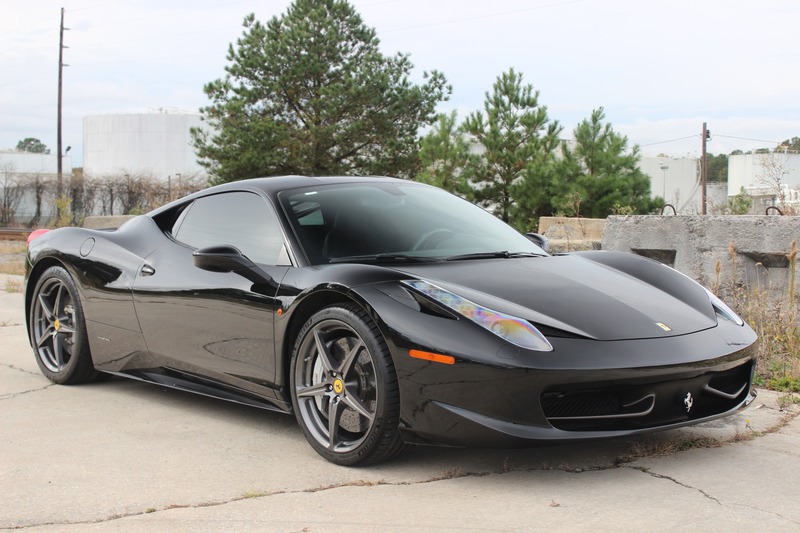 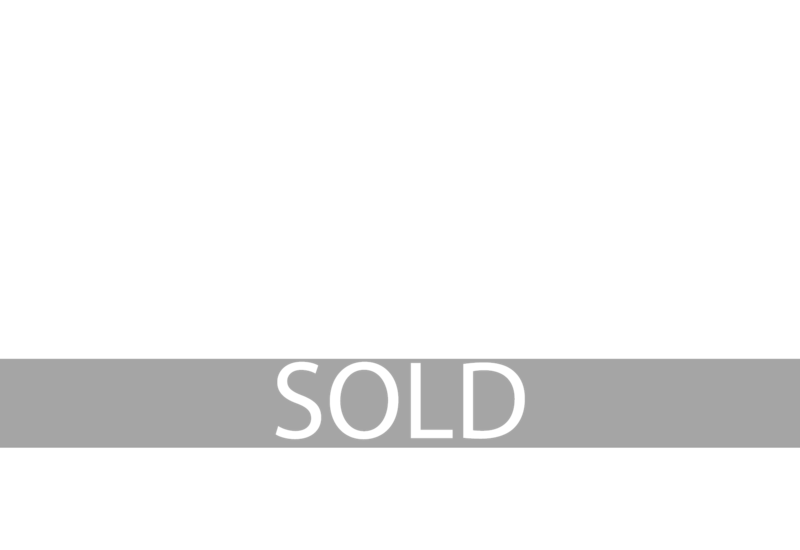 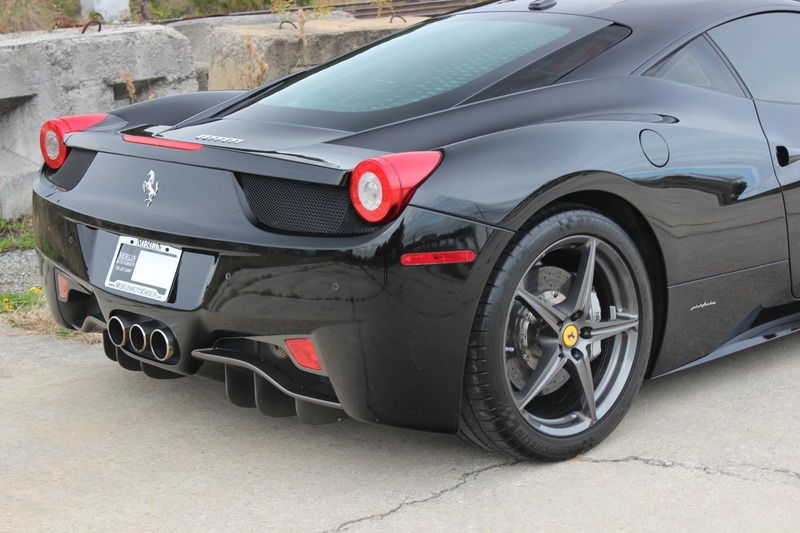 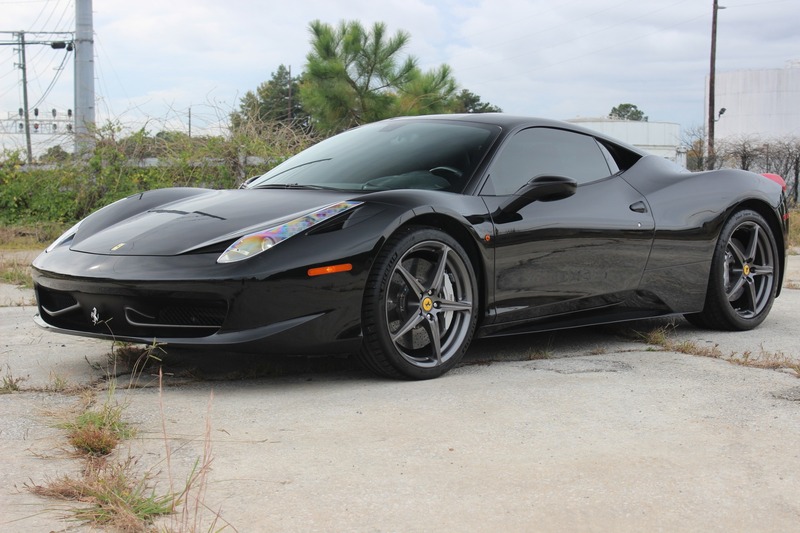 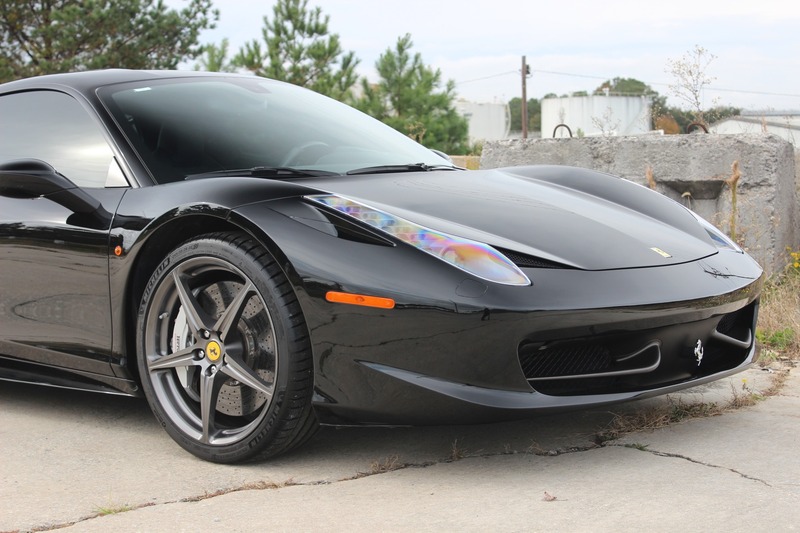 Thank you for viewing this 2012 used Ferrari 458 for sale, please call Merlin Auto Group to arrange a private viewing.